As 2016 came to a close, STS Component Solutions ended a very successful year on a high note. Being able to reach sales goals, develop new relationships with valuable OEMs and build upon existing relationships with our customers and OEM partners were all achievements that made the year so amazing! As we kick-off 2017, many new and exciting opportunities lay ahead and the team is very well positioned to capitalize and deliver another strong year. A few main focuses of ours are to streamline business processes to become more efficient, expand upon the existing OEM portfolio and product lines we offer customers, identify new VMI and Supply Chain Program opportunities, expand our engine component trading business, launch a field service business to support ground power engines, increase the company’s gross profit margin by 25% and reduce operational costs as much as possible. A few key organizational changes have also taken effect since the New Year. Pat Tyler has expanded his role outside of North America and now has the South America and Asia Pacific sales teams reporting to him as well. David Ikeda will continue to lead the EMEA sales teams from the UK office. Collectively, Pat and David will be responsible for driving our marketing and sales efforts on a global scale in order to ensure goals and initiatives are met throughout 2017. Luis Garcia will now focus 100% of his time and efforts on the growth and expansion of STS Air-Pro from the office in Miramar, while passing the torch to Karina Duncan who will lead the South America & Caribbean sales team as Director of Sales for the region. Last but not least, Tim Russo will be expanding his role to lead the OEM Distribution team. This change will allow the organization to utilize and combine the synergies that exist within our VMI programs and OEM partnerships while looking at more strategic OEM purchasing opportunities in the day-to-day business. The OEM team and sales directors will all work together to streamline current processes and procedures to benefit STSCS and enhance the OEM portfolio with new product lines to better assist our network of global customers. 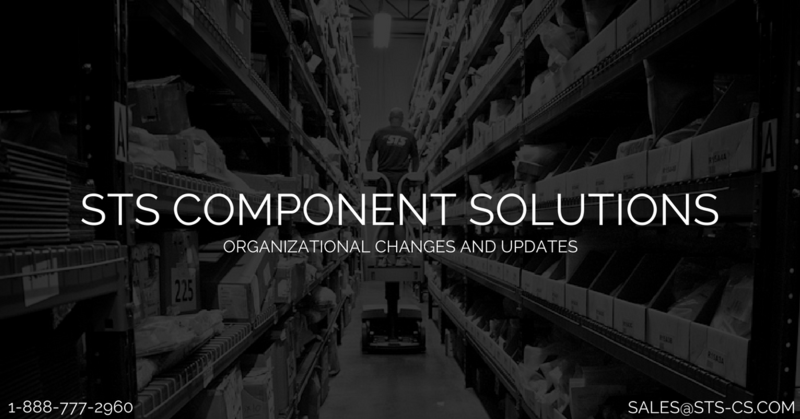 These changes are now in effect, and STS Component Solutions is confident that they will add value and make a great difference in better positioning our company towards growth and success in 2017… and beyond!